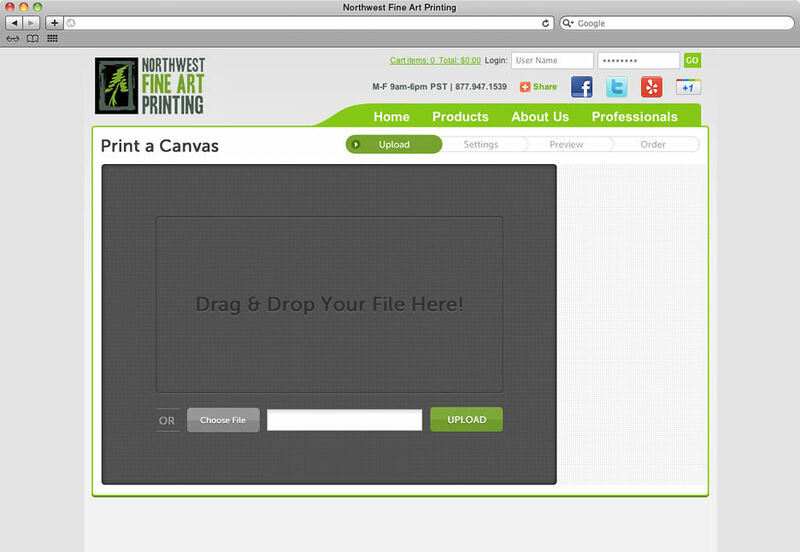 Simplicity is the heart of the Print a Canvas system. 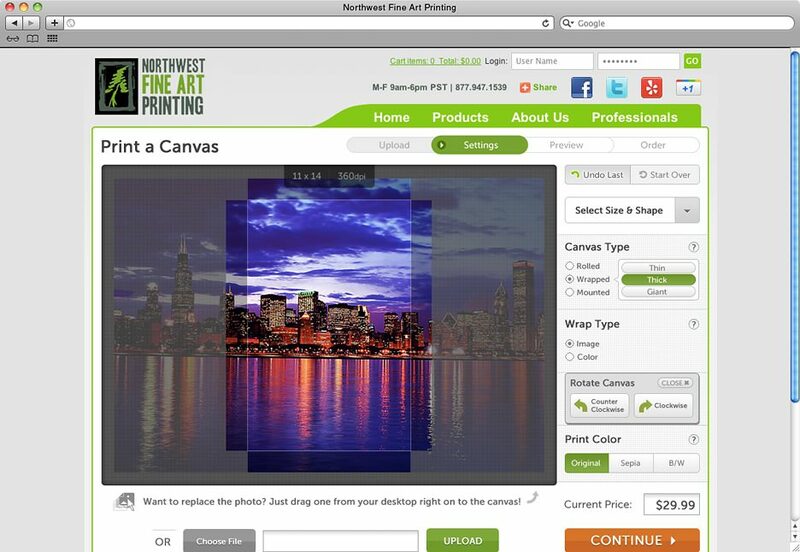 Users can easily drag-and-drop the images they want to have printed, and edit them on the site, without the need for external software, which helps reduce the barrier for inexperienced users. 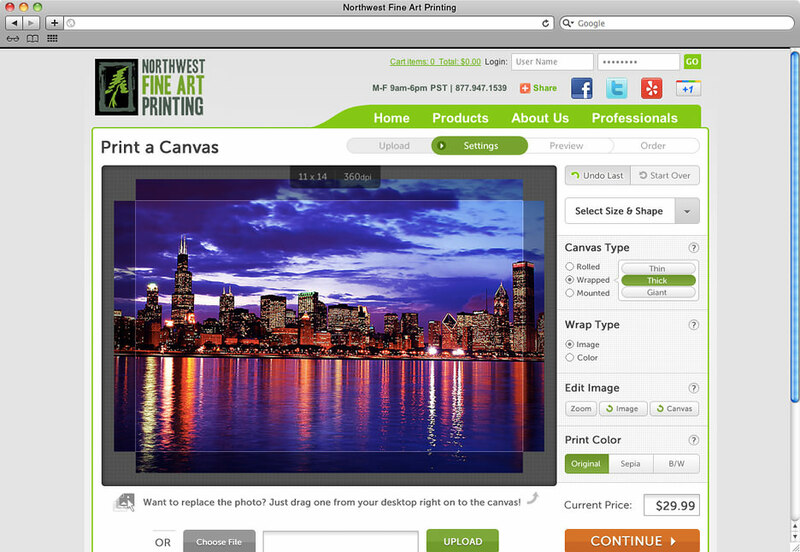 The system also guides the user through the step-by-step process, and informs that about the cost of their print in real time, improving efficiency for everyone. 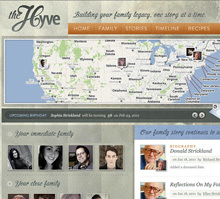 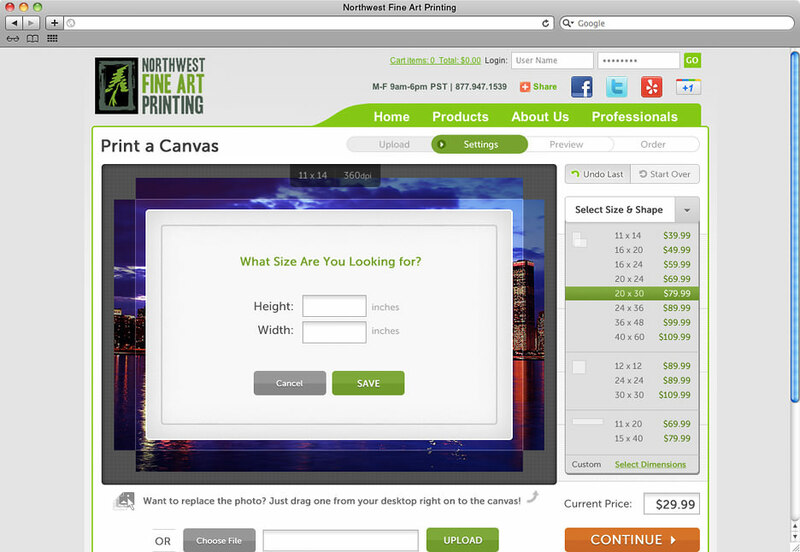 Select custom sizes for your canvas, or even enter your own custom dimensions. 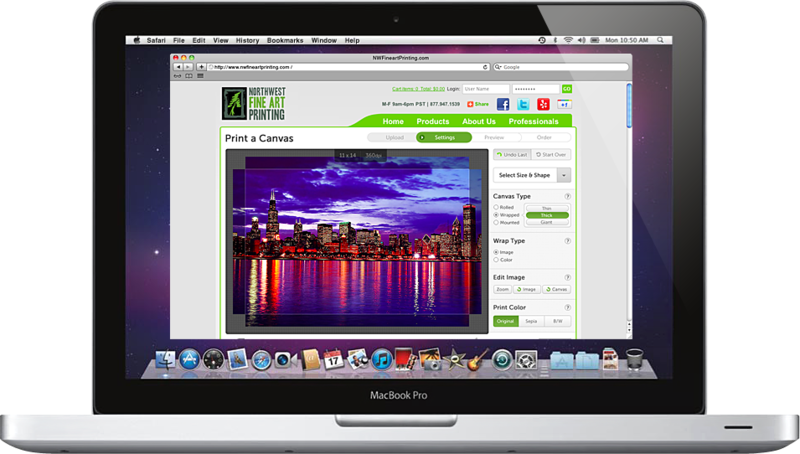 Choose from 3 types of canvas: rolled, wrapped or mounted. 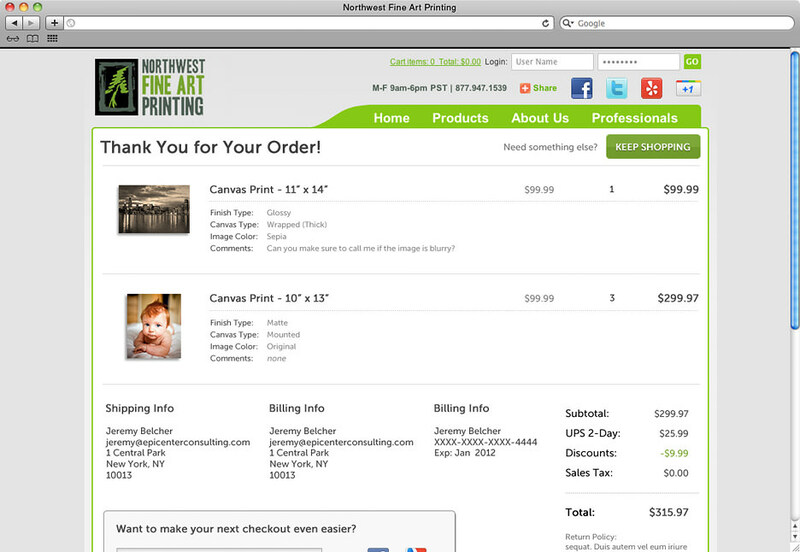 Choose from 3 ways to print your canvas: original, sepia or black and white. 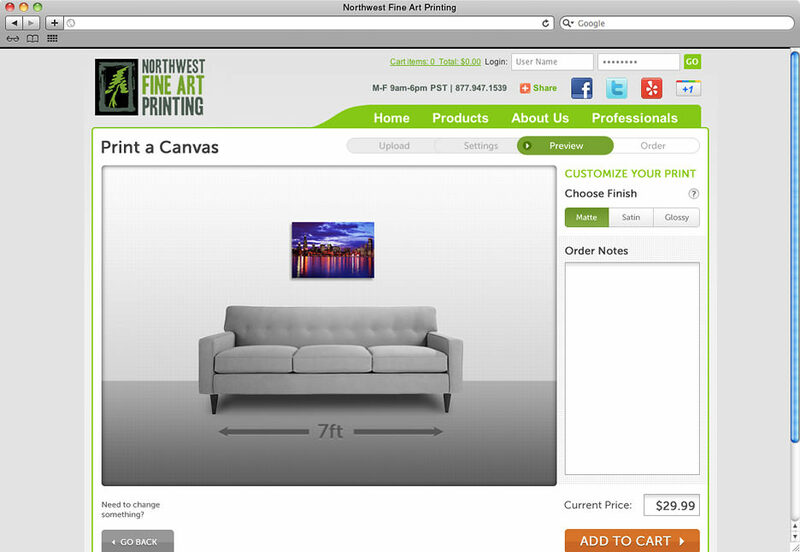 The system also enables the user to actually view their printed canvas as they would see it in an actual room using the dimensions they have chosen.